DUDLEY — When he embarked on his business education journey at Nichols College in August 2017, Nicholas Anderson knew he would thrive on this New England campus, bring a lot to the conference table, and become one of the College’s “whole leaders.” The eager 20-year-old would immerse himself in the College’s leadership culture and become a sponge, absorbing all the knowledge he could from his professors, coaches, and peers. The Melrose native knew he wanted to make an impact — not only among his fellow campus community members but also for people who didn’t know him. When he came to Nichols as a first-year student in fall 2017 and learned that the College didn’t have a Relay event, Anderson quickly decided to change that. 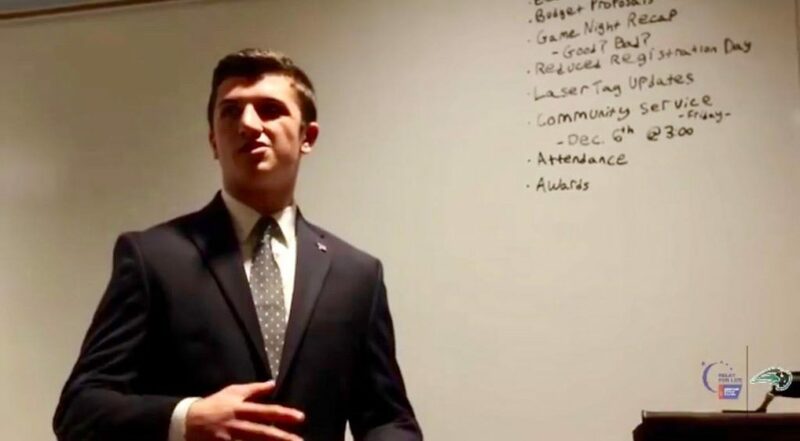 He garnered over 200 signatures to present to the Nichols Student Government Association for a proposal to establish a Nichols Colleges Against Cancer (CAC) chapter and a Relay event on campus—with success and serious time constraints. Anderson recently delivered a presentation in front of classmates about the upcoming Relay For Life event at Nichols College on April 6. To say Anderson is ambitious would be an understatement. He is the classic go-getter, always willing to take on new challenges and expand his portfolio of accomplishments. He’s the epitome of the whole leader who enthusiastically takes the initiative, encourages and develops others, leads well under pressure, finds his calling and purpose, and strategically networks. It can’t hurt, too, that the leadership gene runs in his family: Anderson’s great-great uncle, James E. Milano Jr., was a mayor of Melrose, and Milano’s father—Joseph E. Milano Sr.—was a state representative. At the end of World War II—August 14, 1945—Army Lt. Milano Jr. stood at the shore of Yokohama, Japan, and watched Emperor Hirohito sign the surrender on the deck of the USS Missouri. 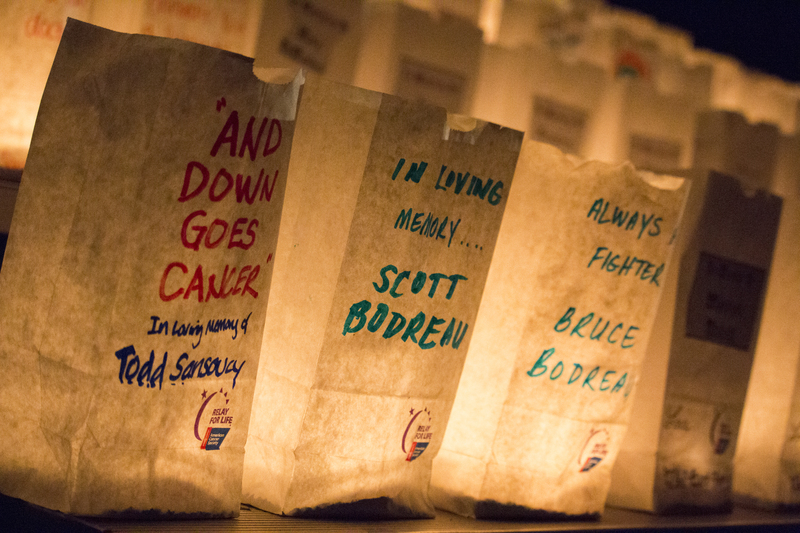 The 2nd annual Nichols College Relay For Life will be held Saturday, April 6, 2019, starting at 6 p.m. in the main gym of the Athletic Center on Center Road, Dudley. The registration fee is $15 prior to the event, or $20 “at the door.” Food and beverages will be provided. The event is open to Nichols campus community members and their friends and families.